In-person classes, live webcast lectures, and on-demand video with or without additional tutoring services give students the flexibility to select the program that best fits their needs. Every option comes with access to thousands of practice questions from Kaplan’s extensive QuizBank and other premium online materials. Kaplan’s most recent addition to LSAT prep is the LSAT Channel, which includes hundreds of hours of additional elective workshops to help students master the course material. Save $250 Kaplan LSAT Review! Save $150 Kaplan LSAT Review! Kaplan LSAT prep offers an individual study plan with each course option. Even if you decide to use the self-paced course, you’ll get a personalized study guide to help you organize your time and track your progress. Your practice tests are analyzed by the trademarked Smart Reports software, so that specific assignments can be tailored to your needs. Most of Kaplan’s options include live classes and one-on-one support. Interacting with teachers in a live or live online setting gets you immediate help when you have a question. Live classes are limited to 30 students and are held at specific times. If you happen to miss a class, you can make it up and catch up on the material that was covered in person or online. 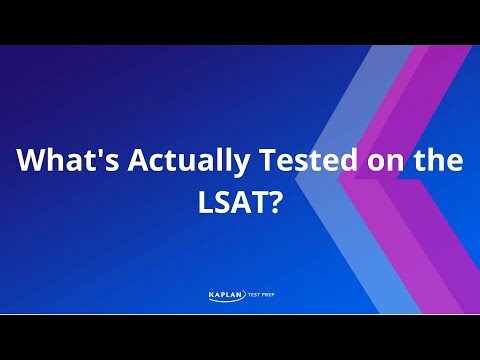 Kaplan’s extensive library of LSAT content includes more than 70 hours of on-demand videos, 75 quizzes, and a quiz bank with more than 7,500 questions. Its newest innovation, the LSAT Channel, offers hundreds of hours of elective workshops on basic and advanced topics, taught live and online by Kaplan’s instructors. LSAT Channel gives students more information and practice on specific topics. Kaplan students interact with instructors on a regular basis, regardless of whether or not they purchase a tutoring package. Although the most affordable (self-paced) course includes only email interaction, instructors will still respond to your questions within 24 hours. If you choose one of Kaplan’s live instructor driven courses, you’ll get several hours of one-on-one time each week. 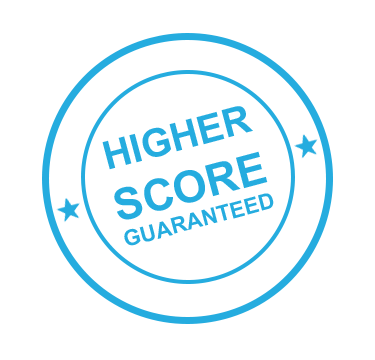 Kaplan has a Higher Score Guarantee, which means if you aren’t satisfied with your test score, you have the option of taking the LSAT course again for free. Alternatively, if you have already taken the LSAT and your score does not improve after you take Kaplan’s course, you are eligible to get a full refund. (Note that this guarantee does not apply to their self-paced course, but only to the In Person and Live Online course options). Kaplan does not offer a free tour of course materials, and students cannot explore the full course before they purchase it. However, free workshops and seminars, a sample class, and a free 4-hour practice test with an analysis are available. See the Free LSAT Resources tab on their website for more information. Kaplan allows up to 30 students to register for one class, which is a higher student-teacher ratio than many of its competitors. However, most course packages include one-on-one instructor time, so students may find the larger class sizes to be acceptable. Although the self-paced option is reasonably priced at $799, it is also much more limited than the more expensive and comprehensive prep course options, which range from $1199 to more than $2599 if you choose to include tutoring. Both traditional and online learners can benefit from Kaplan’s customizable LSAT prep options. The self-paced option will suit those self-motivated students who are looking for the flexibility of an online-program without classes to attend or homework assignments that are due on a particular day. The In Person and Live Online options are more structured and give students more one-on-one opportunities to interact with instructors and ask questions. Students who opt for the In Person version will also benefit from three in-class proctored exams to prepare them for the actual LSAT experience. Tutoring is available at an additional cost for those students who need extra help. Kaplan’s comprehensive LSAT prep course options are a solid choice for both traditional and online learners because students can customize their study plans according to their individual needs and budget. Students can attend classes or get the same individualized attention at home, depending on the course they choose. Although the in person and live online options are more expensive than prep courses offered by several competitors, plenty of perks, such as additional instruction via the LSAT Channel, performance analysis, and one-on-one time with instructors may make it worth the additional cost. TAKE ME TO KAPLAN LSAT! Includes: traditional classroom instruction, 7 in-class sessions, 3 in-class proctored LSAT exams, access to all online study materials and course textbooks, LSAT Channel workshops, and Higher Score Guarantee. Includes: all features of In Person course plus three additional hours of one-on-one instruction and coaching from instructors using online technology. Includes: 7 4-hour live, interactive online instruction sessions run by instructors, 3 full-length proctored practice LSAT exams, access to all online study materials and course textbooks, LSAT Channel workshops, and Higher Score Guarantee. Includes: all features of Live Online course plus three additional hours of one-on-one instruction and coaching from instructors delivered live online. Includes: 70 hours of recorded videos, 40 most popular LSAT Channel episodes, very released LSAT question and access to QuizBank, PrepTest library with detailed explanations, SmartReports software to analyze scores and track progress, mobile app, LSAT course textbooks, and access to instructors via email for questions. Choose from Logic Games, Logical Reasoning, and Reading Comprehension. Includes more than 15 hours of recorded instructional videos for each section, guidebook, LSAT practice book with actual LSAT questions, and email support from instructors. Save $250 OFF Kaplan LSAT Review. Offer ends soon!